I'll admit, I can remember the times that I've ever celebrated Thanksgiving. Call me crazy, but I think we should be thankful for our family, health, jobs, and everything else every single day. This year we decided to take advantage of the fact that I had Thanksgiving (and it's entire weekend) off and that this might actually be the last holiday I spend living in AZ. 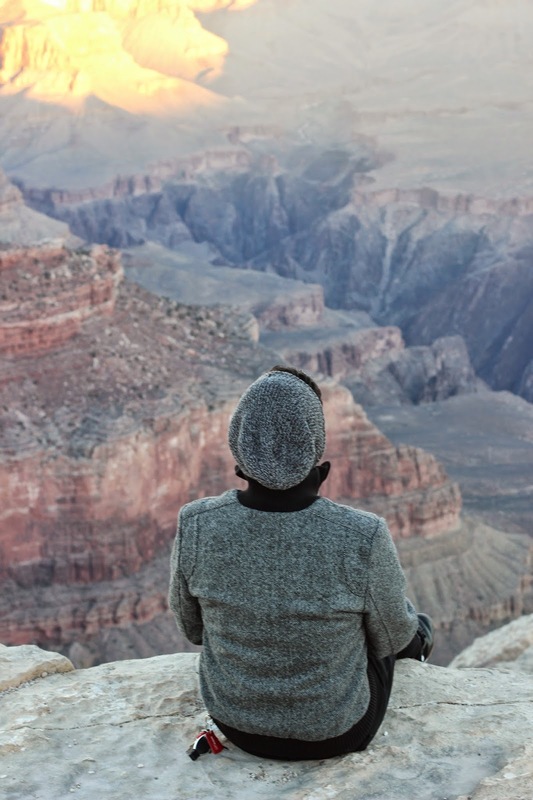 I've lived in Arizona for over four years, and I had never visited the Grand Canyon. I gotta say, I am glad we planned this little rendezvous while we can! Should I just make this a Scenic Postcard? The sunrise was to die for! 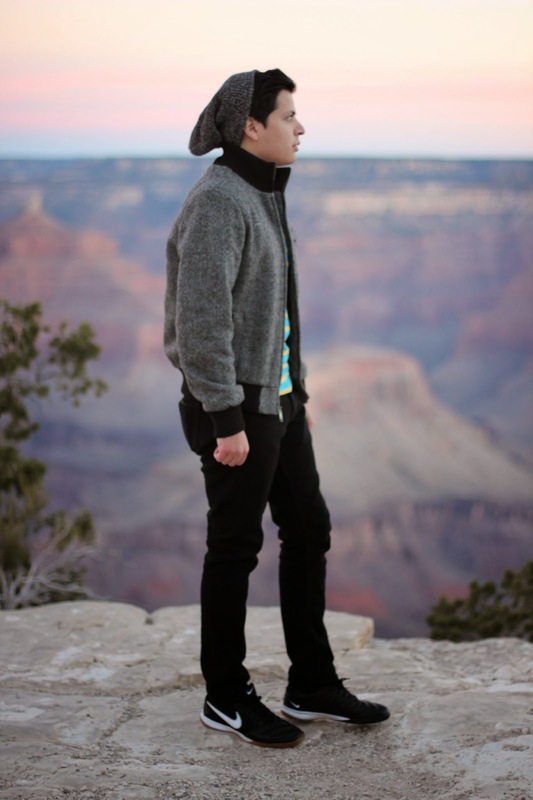 Walking through the Canyon in Nike Shoes, Pacsun's Bullhead Denim, and a Topman Wool Jacket. Our second stop included Bedrock City! The entire place is themed to The Flintstones. The breakfast was to die for, and they had five cent cups of coffee. Talking with the waitress we learned the place is on sale due to the owner growing old of age and her husband passing away. Sad to see such scenic and historic places end up like this. The waitress was even afraid that the entire place would end up being demolished for the 30 acres of land. By far the best scene to take a picture in Bedrock City! Prehistoric haircuts are in high demand! Bearizona was a total blast! This animal park is pretty much outside Williams, AZ and it's kind of like going to the drive in; you go inside your car and drive around all these animals! I was kind of nervous driving because we took of to the Canyon on our C250… I didn't want to end up having a goat ram us out! Muy fregonas las fotos, de hecho me encantó todo lo que anduviste subiendo a tu instagram! Tengo unas ganas enormes de conocer Arizona! si, Arizona tiene mucho que ofrecer Pablo, nomas hay que buscarle!